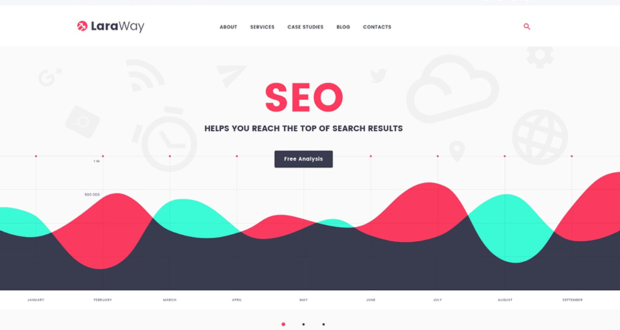 Elegant Themes have gained a lot of attention over their flexible WordPress theme Divi 2 Elegant Themes. They recently announced the second version of the theme. As with all Elegant Themes designs, common settings can be edited through the ePanel options page. You can upload your logo and favicon, configure your navigation menu, enable advertisements, integrate code, and more. But WordPress users aren’t excited about Divi 2 Elegant Themes because of the ePanel options area. 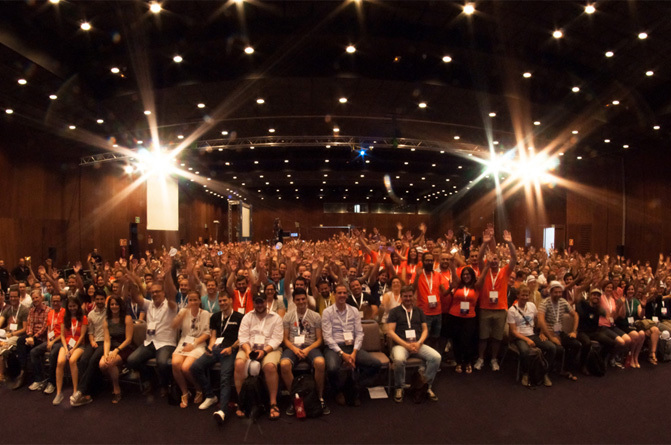 They are excited because of the possibilities it offers through its drag and drop page builder. The page builder is what sets Divi apart from other WordPress themes. 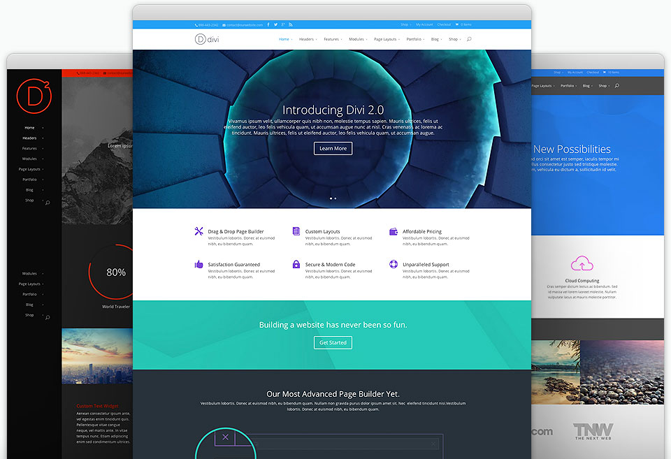 The drag and drop page builder has been enhanced in Divi 2 Elegant Themes. It has introduced nine new column structures and a fantastic new clone tool that allows you to duplicate an element. 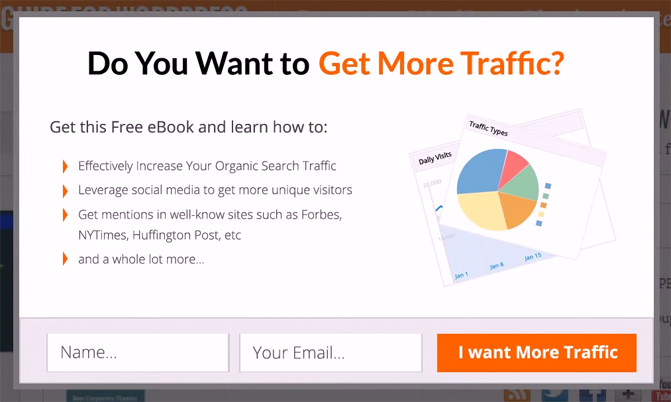 This helps you build a page much quicker than previously. 13 new modules have been added to Divi 2 Elegant Themes; bringing the total number of modules to 33. New modules include gallery, map, countdown, accordion, and filtered portfolio. Those of you who have used the original version of Divi will recall that you can place elements into a different columns. You can divide columns into halves, thirds, and columns. This is a feature that all page builders include. Elegant Themes have expanded upon the idea of placing elements into columns. Their new speciality row feature allows you to place columns inside columns. This opens up a lot of layout opportunities that were not available with the first version of Divi. A lot of new header options have been introduced in Divi 2.0. These can be implemented via the WordPress theme customizer. 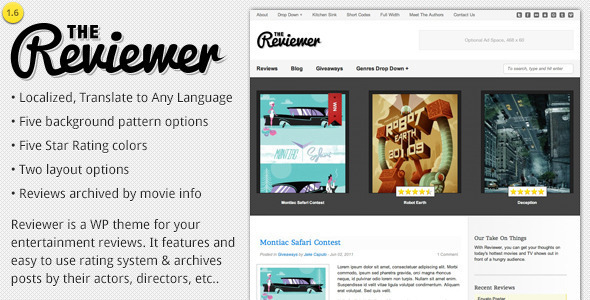 You can now choose where your logo is placed and the color scheme of your header. A second menu location is now available and there is an option to place your main navigation menu vertically. I cannot think of any other WordPress theme that allows you to do this. 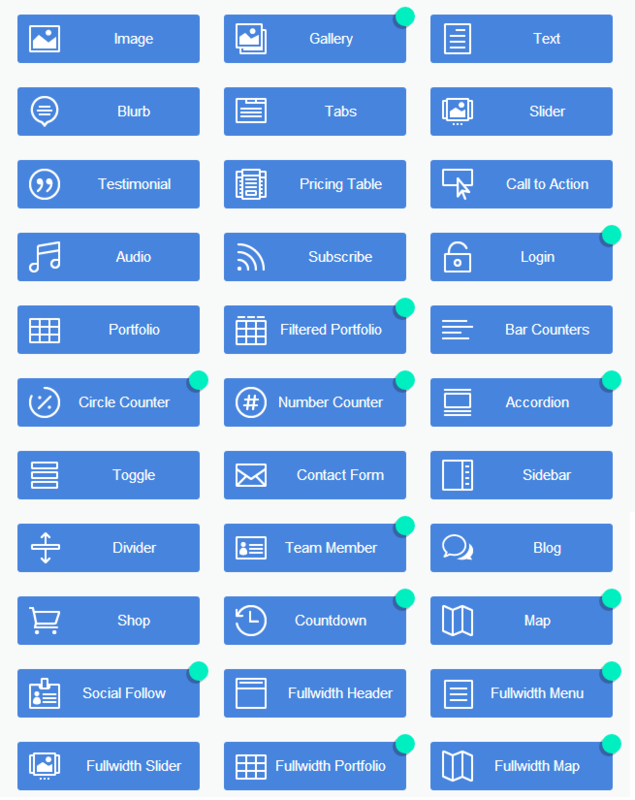 Normally a WordPress design has a horizontal menu or a vertical menu; but you are forced to use the one that was integrated into the theme design. 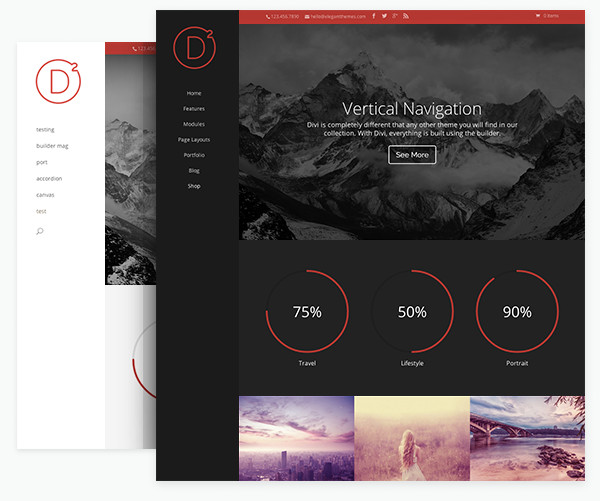 Divi is a responsive design, however Divi 2.0 introduces an option to display a fixed width layout. You can then define a background color, background image, or background pattern. A new blank page template has been added to Divi too. 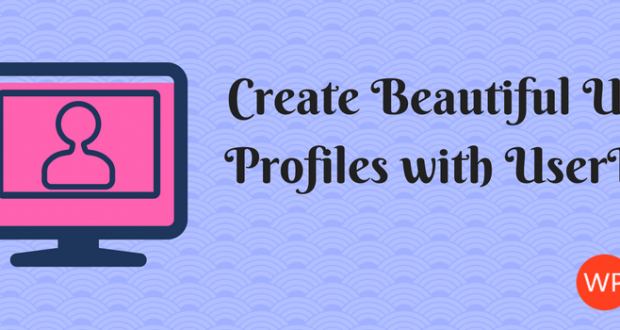 This allows you to create beautiful pages that do not use the design of your website. For example, you can now use Divi to create landing pages that promote affiliate offers. One of the important features of Divi is the ability to save the layouts that you spent so long configuring. This allows you to use the design of one page on others. My criticism of advanced themes such as Divi, and of WordPress frameworks, is that non-designers may lack the inspiration that is needed to create cool and interesting designs. Elegant Themes have addressed this issue by including 18 pre-made layouts with Divi. Once you activate page builder in the post editor, you will see an option to save layout, load layout, and clear layout. The number of layouts available is impressive. There are six home page designs, including one that shows off your portfolio and one that shows off products from your WooCommerce powered store. There are also four page layouts, four portfolio layouts, two project layouts, two blog layouts, two shopping layouts, a splash page, a maintenance mode page, a coming soon page, a landing page, two about page layouts, contact layout, team page layout, agency page layout, sales page layout, case study, and finally….a product features layout. Or to put it more simply, there are pre-made layouts available that will help you build any type of website. And remember, once a layout has been loaded, you can customize it further and save it for use on other pages. You can even export a layout to another website and use it there. Divi also supports all WordPress post formats. 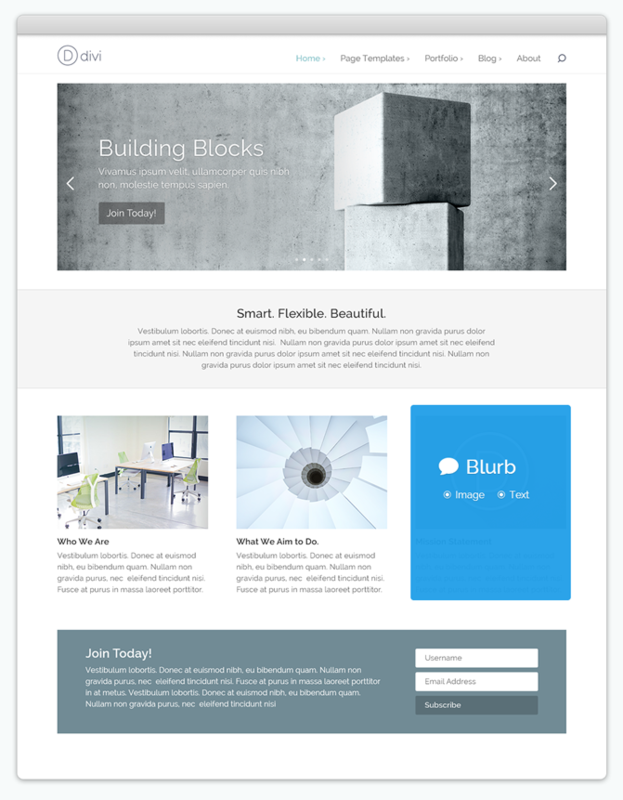 And with two great pre-made blog layouts available, Divi is a fantastic choice for bloggers. It is also a fantastic option for a corporate website, portfolio, online shop, magazine, and more. Quite frankly, there is little Divi cannot handle. 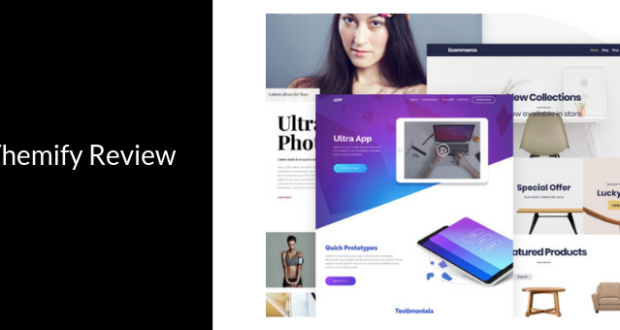 I hope you have enjoyed this look at the new features of Divi 2 Elegant Themes. 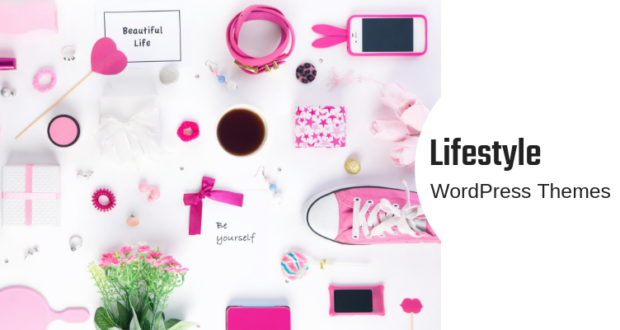 As you have seen, it is one of the most flexible WordPress themes available online. To find out more about Divi, please visit Elegant Themes.